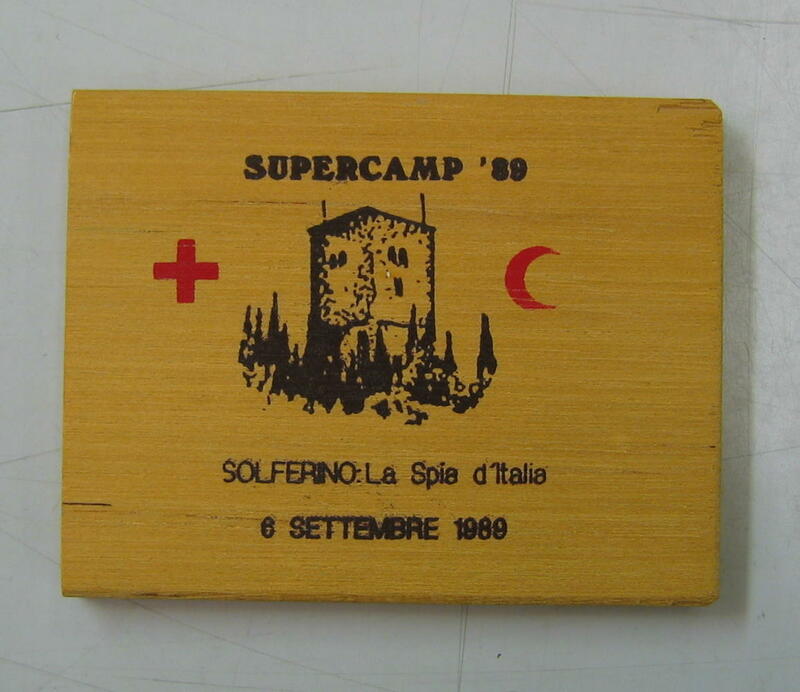 Small wooden souvenir: Supercamp '89. Solferino. Small wooden souvenir, pre-printed with an image of a tower: Supercamp '89. Solferino: La Spia d'Italia. 6 Settembre 1989. with hand written note written in ink on the reverse in Italian.